Save Adrienne to your Collection. Register Now! Adrienne Stein (b. 1986) is an emerging artist currently living and working in Wrightsville, PA. From an early age, Adrienne devoted herself to studying the Old Masters. 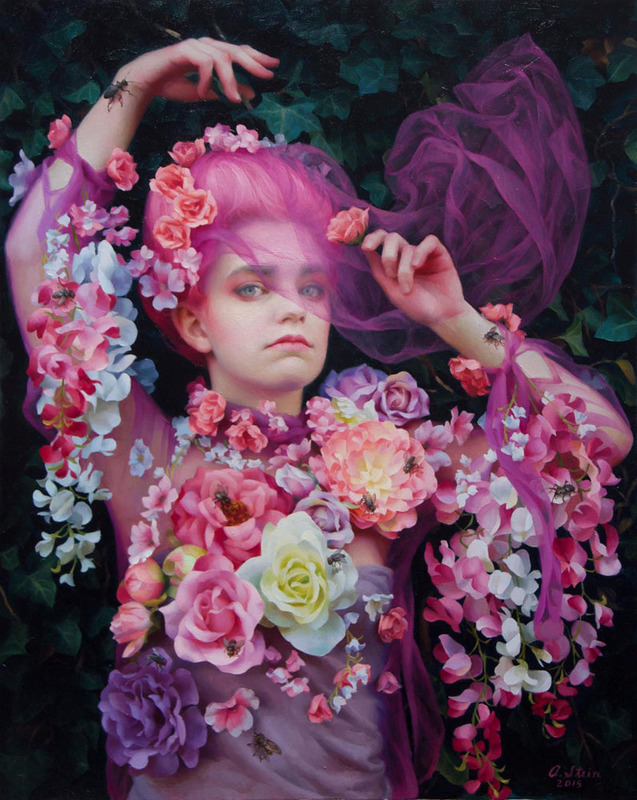 With her mythic imagination and a background in traditional European painting techniques, she seeks to unite the past with the present. Figures, folklore, symbols, and natural elements that are at once personal and universal inhabit her paintings. Adrienne draws inspiration from travel and daily experiences, as well as art history, literature, sacred art and architecture, and the richly textured landscape surrounding her home and studio on the Susquehanna River. 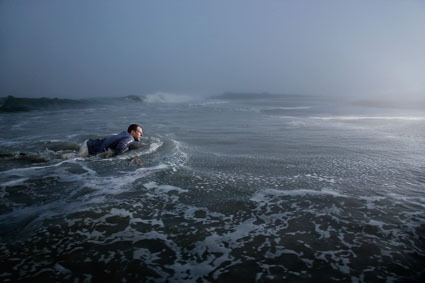 Adrienne received her MFA from Boston University in 2013 and her BFA from Laguna College of Art & Design in 2007. 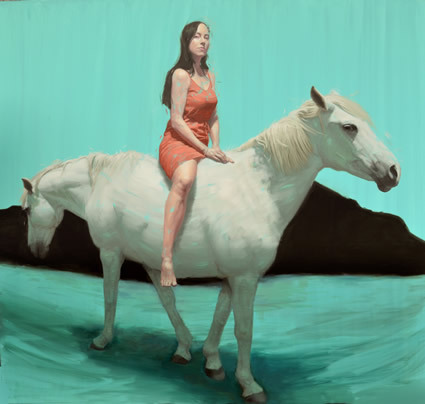 She has widely exhibited her work and received national press, as well as numerous awards from organizations such as the Portrait Society of America, The Art Renewal Center, The Elizabeth Greenshields Foundation, the National Scholastic Art Awards, and the John F. and Anna Lee Stacey Award. Adrienne has made charitable donations to local and national organizations and has had motivational speaking engagements. She has studied under many gifted and influential instructors at various institutions in Pennsylvania, New York, California, as well as abroad in France and Italy. 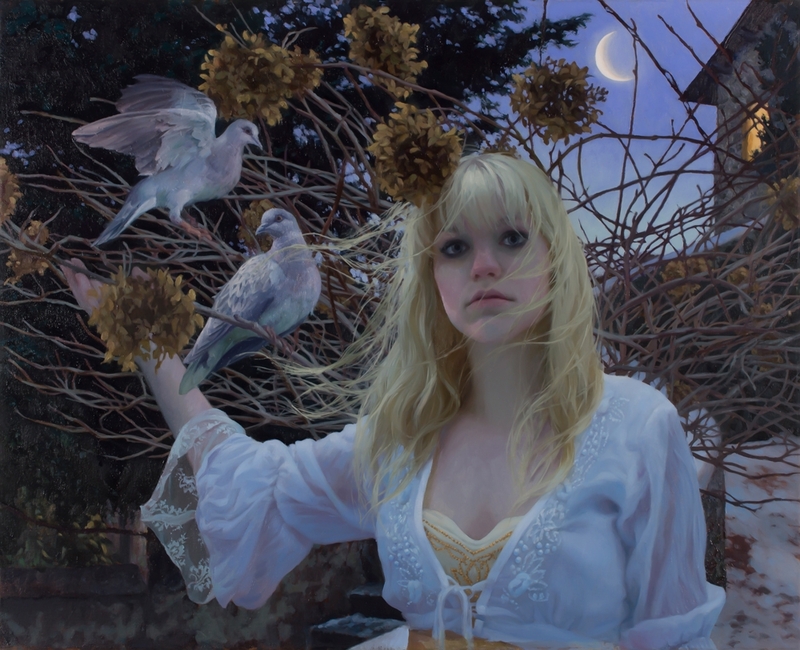 Adrienne explains her work by saying, “Utilizing traditional European painting techniques, my work forms a bridge to the present, reanimating historical painting genres with fresh insight and imagery. The worlds I paint are inhabited by figures, folklore, archetypes, and natural elements that are fueled by a sense of personal as well as universal myth. I paint close friends and family members with whom I share a deep connection, reinterpreting them in lush and magical environments. My work is a nexus between what is real and what is fantasy, expressed through an unconscious world of symbolic imagery”. Member me Adrienne??? Mermaid lady Elvis lover!!!!! !Laguna next door neighbor. Love your work gorgeous then gorgeous now ??? Very unified with rose hues, soft and delicate. riveting gaze.